I know this is a big number to lay in the NFL, but I really like Cincinnati in this spot. The Bengals got a huge win last week over Baltimore and I look for them to carry over that momentum with one of their best showing of the season against Jacksonville. The Bengals also get a big emotional lift here with the return of wide out A.J. Green, who is without question their most important offensive player. The Jaguars have shown some signs of being more competitive, but it’s come against mediocre and bad teams. They are not ready to compete with a team like Cincinnati. Turnovers have been a major problem for Blake Bortles and the Jacksonville offense and I don’t expect them to play a clean game against a Cincinnati defense that has forced 2 or more turnovers in 5 of their 7 games. You also have to factor in the Bengals have a big time homefield advantage that tends to get overlooked by the public. 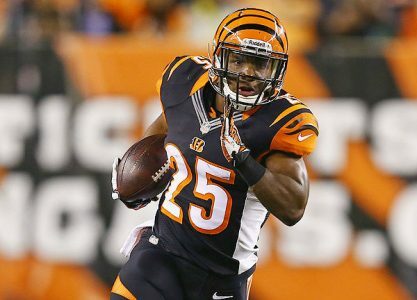 Key Trends – Bengals are 24-11 ATS in their last 35 in the 2nd half of the season against bad defensive teams who are giving up 5.65+ yards/play, 11-2 ATS in their last 13 home games and 6-0 ATS in their last 6 home games against a team with a losing record. BET THE BENGALS! 3x Top 20 NFL Handicapper (#5 Overall 2012)! Steve Janus is also an Amazing 49-30 (62%) Over L79 NFL 5* Top Play Selections and 453-367 Over L820 5* Top Plays Overall, which has his $1,000 Players Profiting $47,580! Don’t make the mistake of betting against a proven expert. Cash in a winning ticket on Sunday with Steve’s 5* NFL Blockbuster Blue Chip Top Play! This special offer comes backed by a 70% SUPER SYSTEM, is yours for the low price of $35.95 and best of all it’s GUARANTEED TO PROFIT!